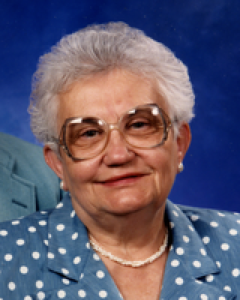 Virginia Ann (Miller) Easton, 81, 8136 St. Francis Ct., Centerville, Ohio and a former resident of Sidney died at Heartland of Centerville, Centerville, Ohio on Sunday, December 11, 2005 at 5:19 PM. She was born April 28, 1924 in Sidney, Ohio the daughter of Orville and Anna (Fitzgerald) Miller. On November 25, 1943, she married Henry Irwin Easton of DeGraff. She is survived by three sons, David of Sidney, Ohio; Timothy of Clayton, North Carolina; and Donald of Nashville, Tennessee; four daughters, Mrs. David (Diana) Brademeyer of Centerville, Ohio; Mrs. James (Charlotte) Ferreee of Naples, Florida; Mrs. Matthew (Theresa) Fowler of Springboro, Ohio and Mrs. Jeffrey (Christine) Fields of Loveland, Ohio; 15 grandchildren and 5 great-grandchildren; one brother, Norbert Miller of Louisville, Kentucky. She was preceded in death by her husband, Henry Easton, daughter Sondra Turben, a sister Mary Norma Hentrich, and a brother Carleton Miller. Mrs. Easton retired from Amos Press in 1990. She worked for Linn&#39;s Stamp News and Cars and Parts Publication. She was a member of Amos Press Retirement Club and volunteered for several organizations in the community. A Mass of Christian Burial will be celebrated on Thursday, December 15, 2005 at 10:30 AM at Holy Angels Catholic Church with Deacon Norbert Miller and the Rev. James Reutter. Burial will be in Graceland Cemetery, Sidney. Friends may call at Salm-McGill and Tangeman Funeral Home on Wednesday, December 14, 2005 from 2-4 and 6-8 PM. Memorial contributions may be made to The Thomas Center for Down Syndrome ATTN: Dr. Bonnie Patterson, 3333 Burnett Ave., Cincinnati, Ohio 45229.